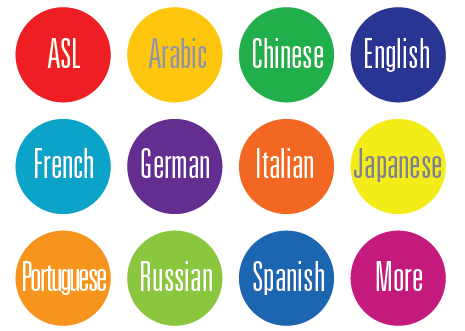 Our language instruction is provided through a separate division of our company called the Indy Language Center (ILC). ILC offers private, semi-private, group and immersion programs in Spanish, French, Italian, Portuguese, German, Mandarin Chinese, Japanese, Arabic, English as a Second Language (ESL) and more. Take the next step and learn a foreign language this year at ILC! You can learn more about our specialized Spanish courses by contacting us for more information, or by visiting Indy Language Center's (a division of Indy Translations) website.